Quality child care, a child’s first educational experience, feeds a baby’s rapidly growing brain, creating the building blocks necessary for them to thrive. During these early years, studies show high-quality child care improves language, mental health, social and emotional development, contributing to later school success. Safe, stable and nurturing child care also helps parents work, strengthening the economic health of our families, our neighborhoods and the state as a whole. Increased state and federal funding to make quality child care more affordable for working families. Stronger education requirements for staff caring for infants and toddlers tied to increased compensation for those that obtain higher education. Higher subsidy payment rates for providers caring for babies based on the true cost of providing quality child care, allowing families with fewer resources equal access to quality. The availability of affordable, quality child care for infants and toddlers in New Jersey is in short supply. As ACNJ reported in No Room for Babies, there is only enough room in licensed child care centers for roughly 27 percent of the infants and toddlers likely to need care because all available parents work. In addition, the number of registered family child care homes has been steadily declining, further reducing options. In fact, about 40 percent of New Jersey municipalities, particularly urban and rural communities, are considered “deserts” due to the lack of child care for babies. The quality of infant-toddler child care programs varies greatly across the state. 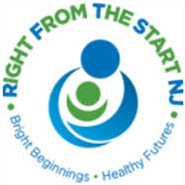 New Jersey recently launched a quality rating and improvement system, known as Grow NJ Kids, to help improve the quality of child care and provide parents with a consistent and reliable way to assess their child care options. However, Grow NJ Kids is still in its early stages of implementation and the majority of programs have not yet been rated. Child care for babies is expensive. High-quality infant care, provided by well-trained staff, is even more costly. The median weekly cost for center-based child care for an infant is $250, making it unaffordable for most low- to moderate-income households. Families earning up to double the federal poverty level can qualify for financial assistance to pay for child care while they work or attend school. This is also referred to as a child care subsidy. Unfortunately, subsidy reimbursement rates are low and do not reflect the true cost of delivering high-quality child care. Talk to your neighbors and representatives. Use these Talking Points to get started. 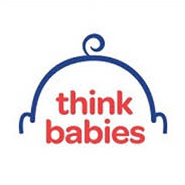 Share your stories so that politicians know how important babies are to the future of New Jersey. Write an op-ed for your local newspaper. Get started here!